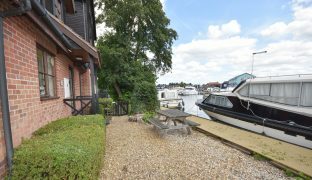 Ideal second home or holiday cottage set in a well regarded marina within walking distance of the centre of Wroxham, just off the River Bure, offering off road parking and the right to moor a boat on site. 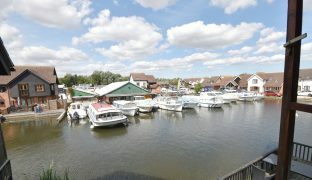 A two bedroom holiday cottage set in a well regarded marina within walking distance of the centre of Wroxham. 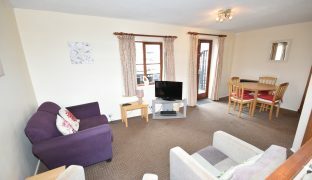 Ideally located to be the perfect second home or holiday let. 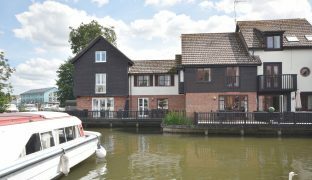 The accommodation consists of an entrance hall, dual aspect, L-shaped living space leading out onto decking, directly overlooking the water. 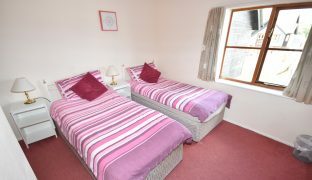 Two double bedrooms and a bathroom with fitted shower. 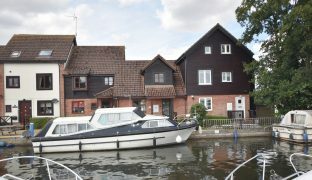 The property offers off road parking for one car and also has the right to moor a boat on site. 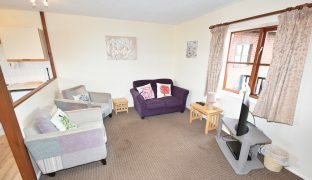 The property is currently a well-established holiday let with full contents available by separate negotiation. Entrance Hall: Staircase to first floor, part glazed front door, built in cupboard and an under stair storage cupboard. 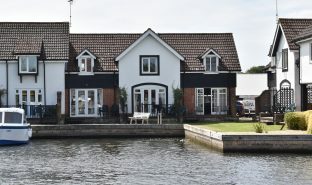 L-Shaped Living Room: 19’9″ (10’0″ min) x 17’10” (9’0″ min) – Generous dual aspect living space with views out over the water to the front and back, French doors out onto decking leading directly to the water’s edge. 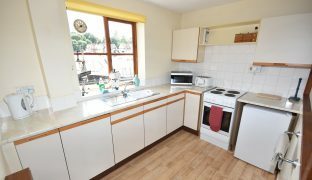 The kitchen area offers a full range of fitted storage units with sink unit and drainer, electric cooker point, partially tiled walls, wall mounted heater, TV point. Landing: Built in cupboard housing hot water tank. 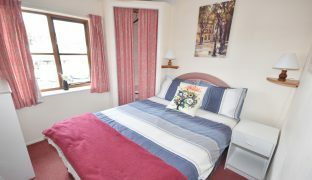 Bedroom 1: 10’9″ x 9’0″ (12’2″ max) – Window to front aspect with views out over the water. 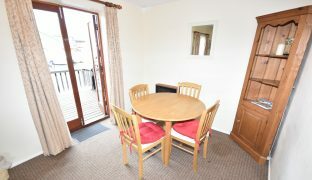 Loft access, built in cupboard, wall mounted heater. 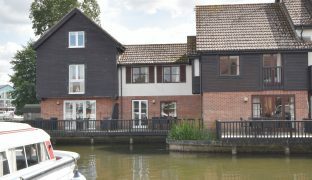 Bedroom 2: 9’0″ x 8’9″ – Window to rear with views over the water out towards the River Bure. Wall mounted heater, built in hanging space. 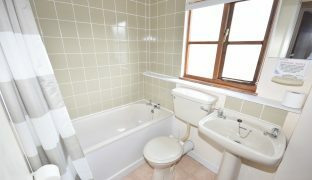 Bathroom: Low level w/c, wash basin, panelled bath with fitted shower over. 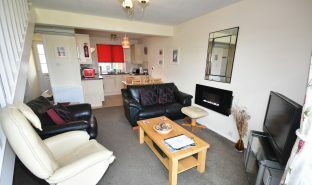 Partially tiled walls, wall mounted heater, window to front aspect. 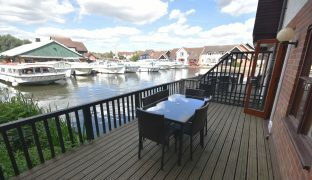 To the rear of the property is a private enclosed deck leading directly to the water’s edge, looking out over nearby moorings. 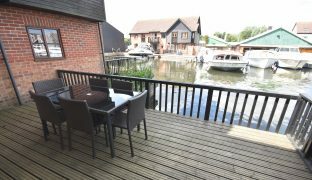 The front of the property is a communal gravelled area with seating looking out over the water. 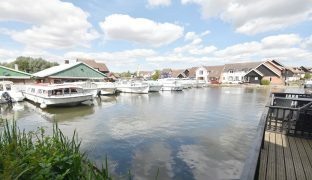 There is parking for one car off road and there is the right to moor a boat on site as well. 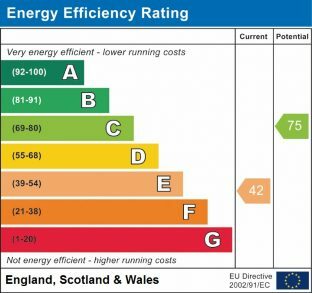 Suitable for use all year round, but not as a sole or permanent residence.